NBZ Apparel is always interested in partnering with like-minded people and organizations. Companies can partner with NBZ Apparel in various ways. NBZ Apparel proudly supports veterans, veteran organizations, and veteran projects. 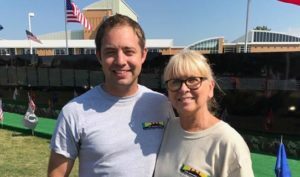 In 2017 NBZ Apparel helped support The Vietnam Combat Veterans Memorial the “Moving Wall” in Lake County Ohio. Military support organizations such as VA hospitals, Veterans of Foreign Wars (VFWs), Purple Hearts Veterans, the Vietnam Veterans of America, Amvets, etc. Local, regional, and national chapters of associations which support specific diseases, disabilities, and health challenges, such as Down syndrome, Alzheimer’s, autism, cerebral palsy, Parkinson’s, MS, ALS, stroke victims, etc. 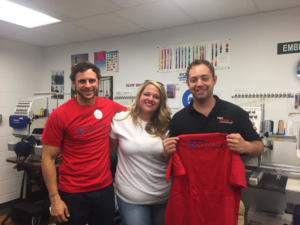 NBZ Apparel has partnered with Vocational and Residential organizations like Eggleston Services (pictured above) to help provide appropriate and proper fitting clothing for the individuals they assist. The NBZ Team would love to hear from you to discuss ways to work together! Every partnership is unique and customized based on the needs of our partners. In some cases, NBZ Apparel may be able to provide a commission in return for an organization or company endorsing or promoting our products. Click here to have a team member contact you with ways to partner with NBZ Apparel.